Among the crowds, who congregated in Hagley Park opposite the Al Noor mosque to observe the call to prayer, members of the notorious Mongrel Mob gang performed a poignant Haka. Thousands more listened and watched as the event was broadcast live, with the prayer followed by two minutes of silence in what has been called a ‘nationwide reflection’. Their performance was met with a round of applause and cheering from members of the Muslim community who watched before heading inside to pray. Earlier this week, Sonny Fatu, the local Mongrel Mob president vowed to help make Muslims feel safe while they prayed, he told Stuff. 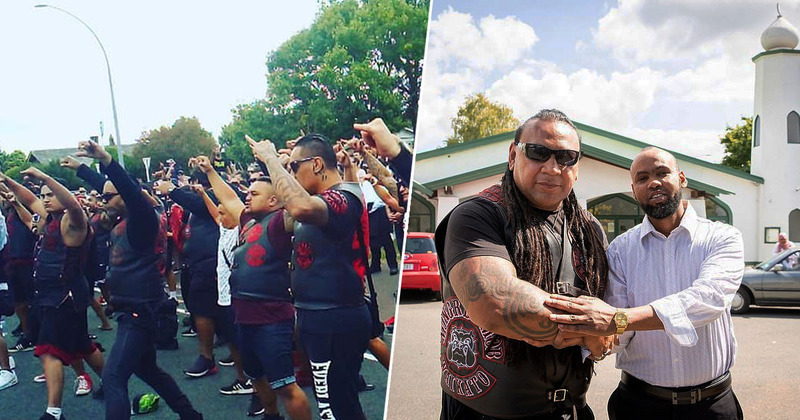 Members of a number of gangs – including the Mongrel Mob’s rivals, the Black Power gang, have been invited to stand sentry outside places of worship to help the Muslim community recover. We were contacted by a representative who said some of our Muslim brothers and sisters have fears for Friday during their prayer, and the question was posed whether we could be apart of the safety net for them to allow them to pray in peace without fear. The local Muslim Association president Dr Asad Mohsi touched noses with gang members in a traditional Maori greeting called the Hongi after he welcomed their support. 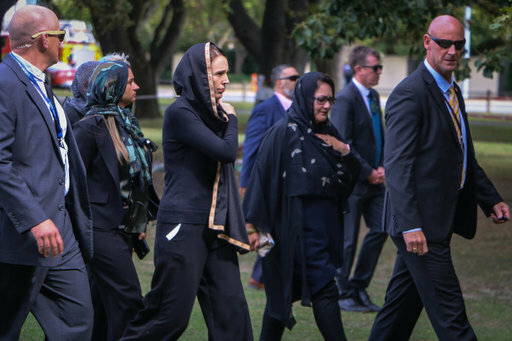 The gun legislation is supported by Ardern’s liberal Labour Party and the conservative opposition National Party, so it is expected to pass into law. An immediate sales ban on military style weapons went into effect on Thursday. New Zealand does not have a constitutional right to bear arms. Among the crowds, non-Muslim women wore headscarves in solidarity with their countrymen and women of the Muslim faith.